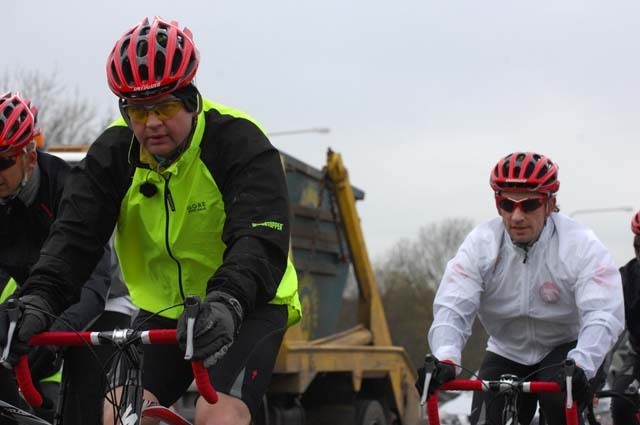 After an overnight stop in Burton-on-Trent, Adrian Chiles of BBC’s ‘Match of the Day 2’ and ‘The One Show’ set out with Alan Shearer, ex-Newcastle United and England star and now BBC football pundit, on day two of their Sport Relief Super Cycle. 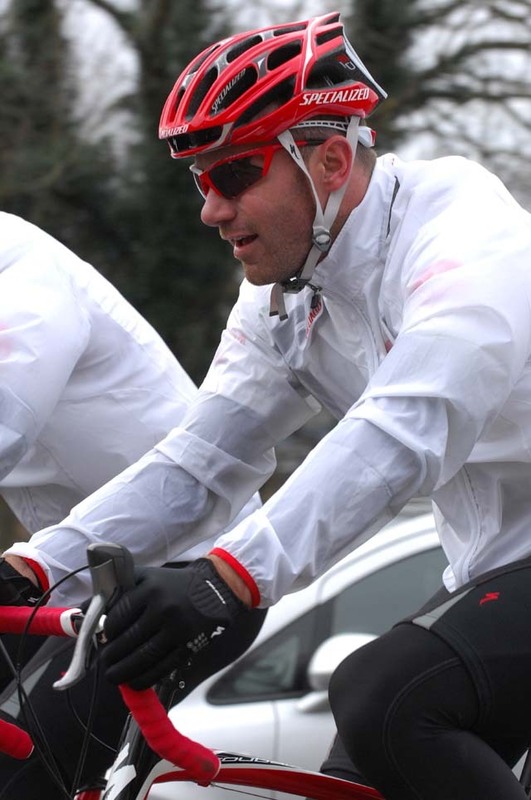 The Sport Relief Super Cycle started at 08:00 am the previous day (Thursday March 13) from St James Park, home of Newcastle United and tracked down country some 185 miles using busy ‘A’ Roads to arrive in Burton-on-Trent at around 0:30 the following morning. 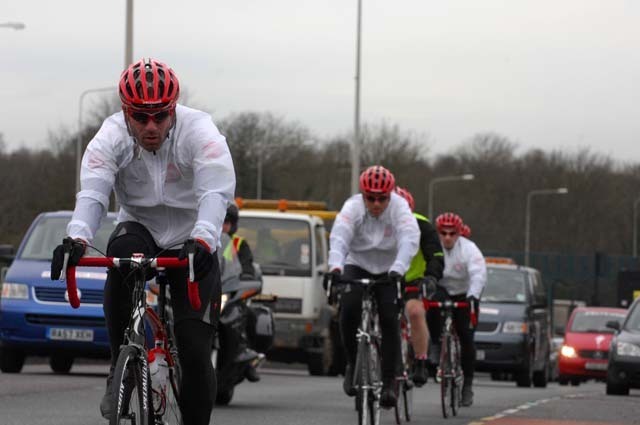 With barely four hours sleep, Chiles and Shearer were back on the road again for the final 150 mile leg to the BBC Centre in London. The second days route from Burton-on-Trent took in West Bromwich, home town of Chiles and of course to his beloved West Bromwich Albion football team the ‘Baggies.’ A stop at their ground ‘The Hawthorns’ was a chance for a break and a cuppa up in the hospitality suites. With the convoy arriving at the ground some 40 minutes behind the 07:30 schedule, it was a shortened stop before getting straight back on the road again to head towards London via Coventry, Banbury, Aylesbury and Amersham. They are scheduled to arrive at the BBC Centre studios in time for the live Sports Relief programme going out at 19:00 tonight (Friday March 14).